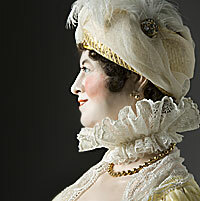 First Lady, fabulous hostess and pal of Aaron Burr. 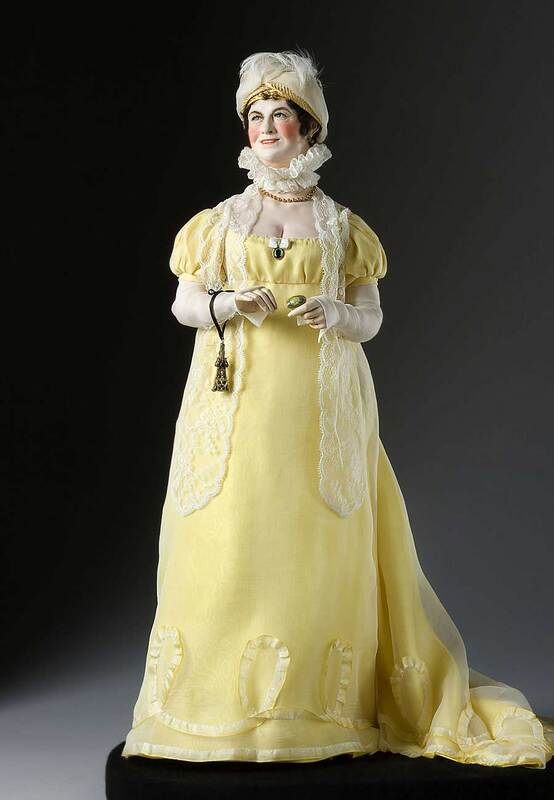 Raised as a Quaker, Dolly Paine left the sect to marry John Todd, was widowed, and then married James Madison in 1794. 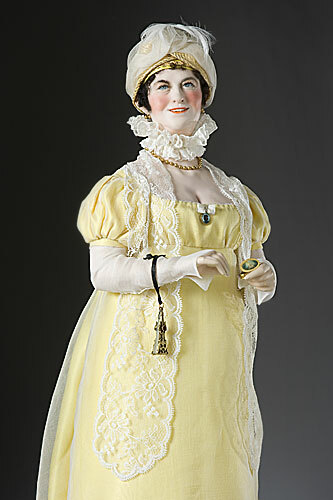 She was a gracious hostess at the White House for her husband and also President Jefferson. Legend credits Dolley Madison with saving the national treasures when British soldiers burned the Present’s House in the War of 1812. The Madisons later resided in their Montpelier home. 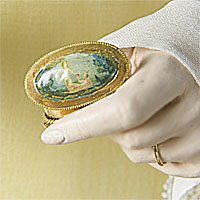 The small case she holds is a snuff box.